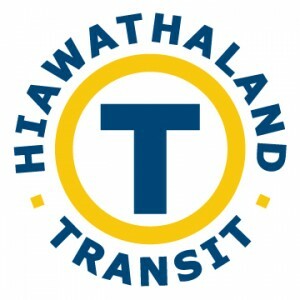 Hiawathaland Transit is looking to expand into the Zumbro Falls area. Do you need a ride to the clinic, grocery store, or work? Do you struggle getting your child to/from pre-school or home after school activities? Does your middle schooler or high schooler need rides in the summer to the pool or library? These are some of the ways that Hiawathaland Transit can help. Hiawathaland Transit is available to everyone, for any reason. Every year, we transport thousands of individuals (seniors, adults, children, persons with disabilities) in Wabasha, Goodhue, and Rice counties to activities, shopping, clinic appointments, school, and work. Due to the rising number of transportation requests, we are starting the process to bring Hiawathaland Public Transit to your neighborhood. The first step in the process is to survey the area for need. Please help us by completing the following survey: https://www.surveymonkey.com/r/HWTWAB If a computer is unavailable to you, surveys may also be filled out by calling the transit center toll-free at 866-623-7505. The survey takes less than a minute to complete.